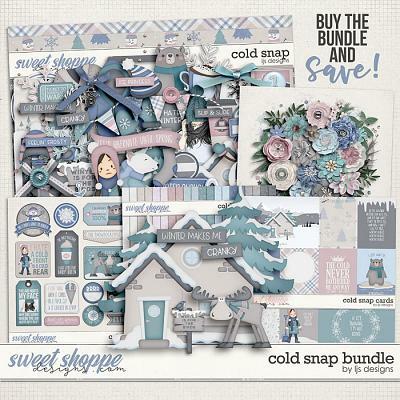 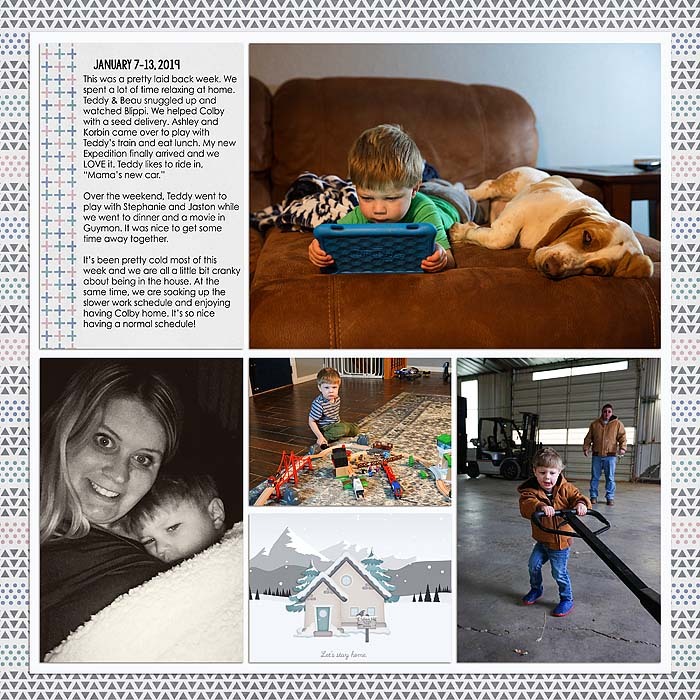 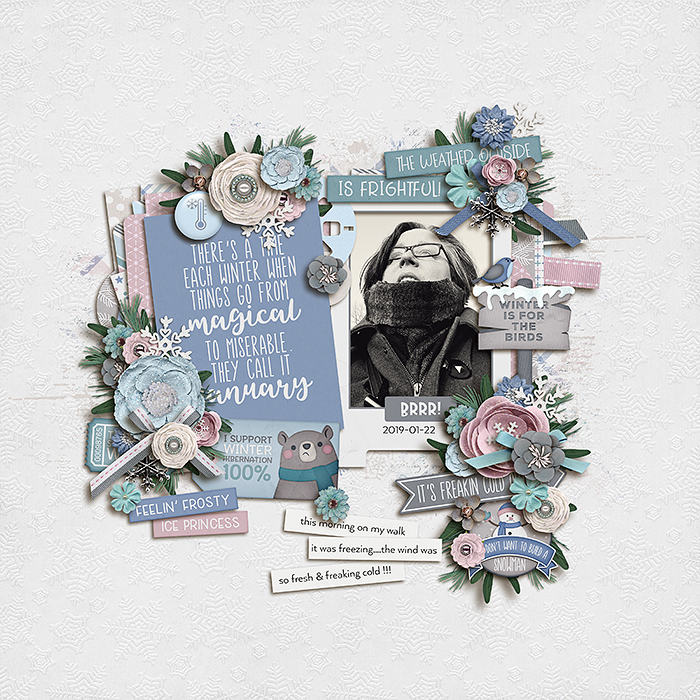 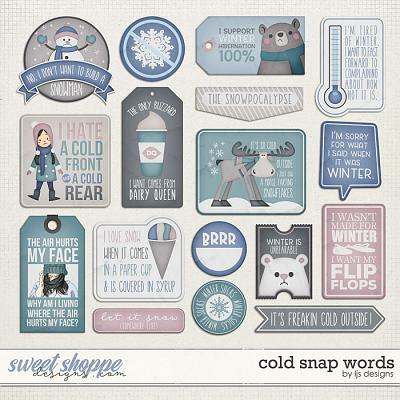 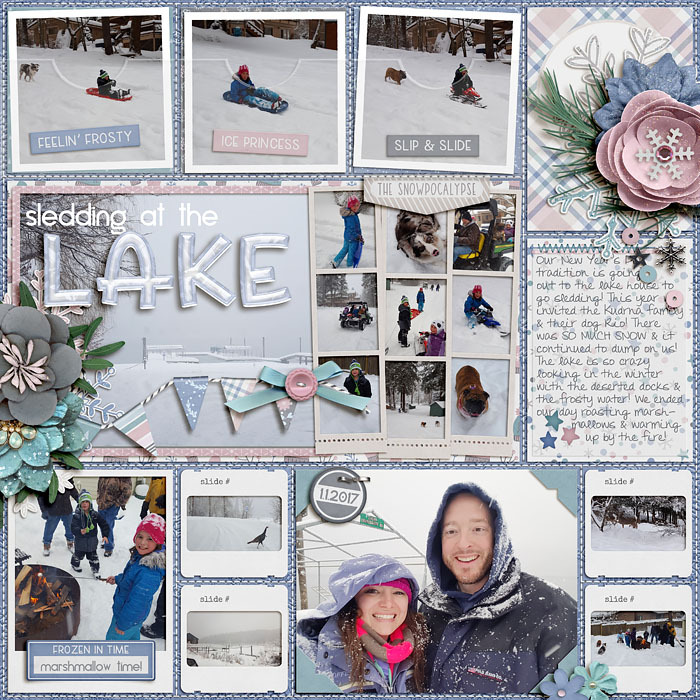 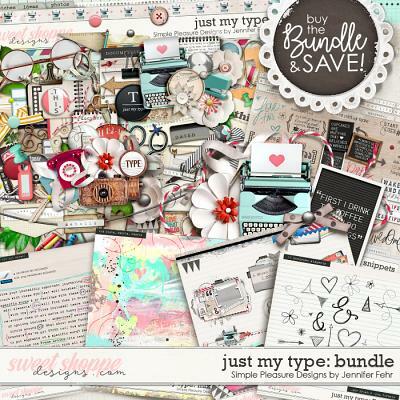 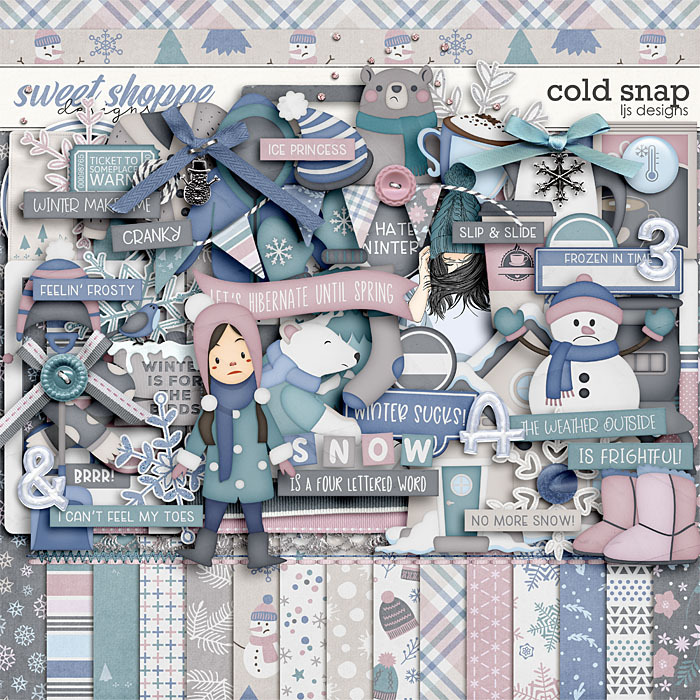 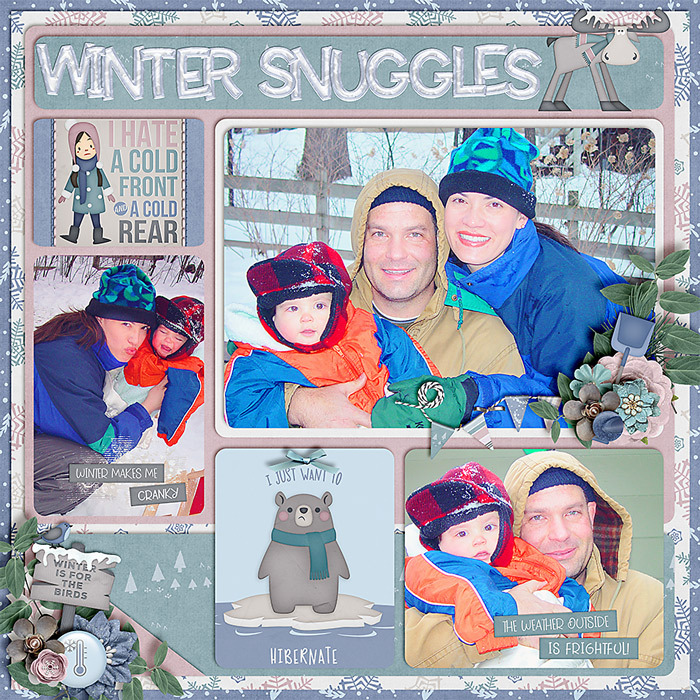 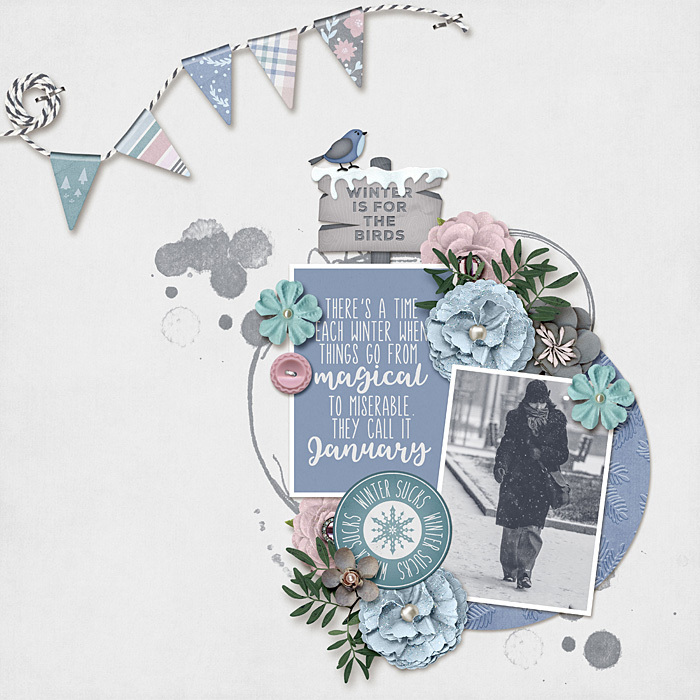 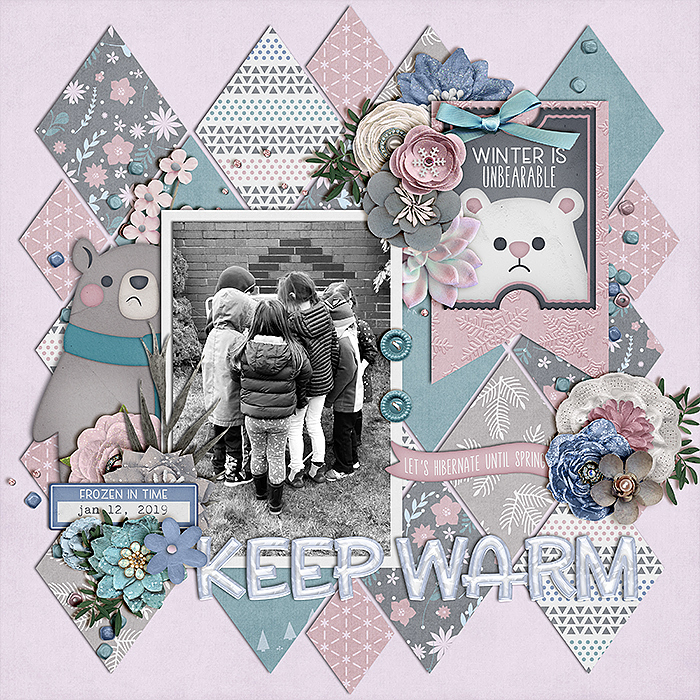 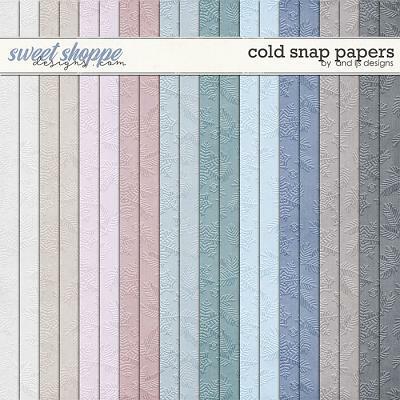 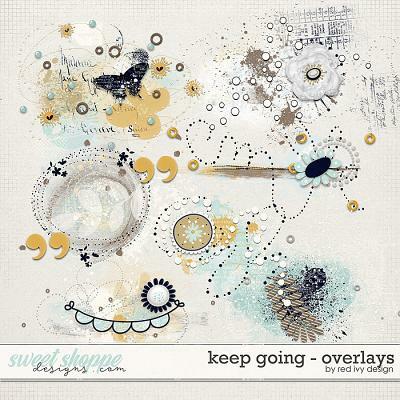 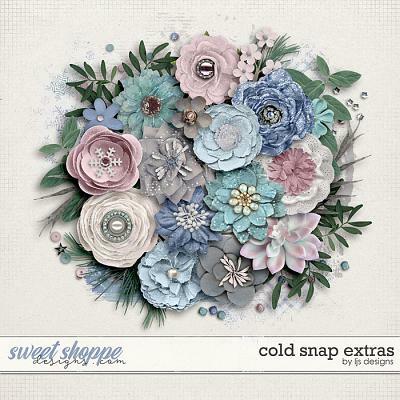 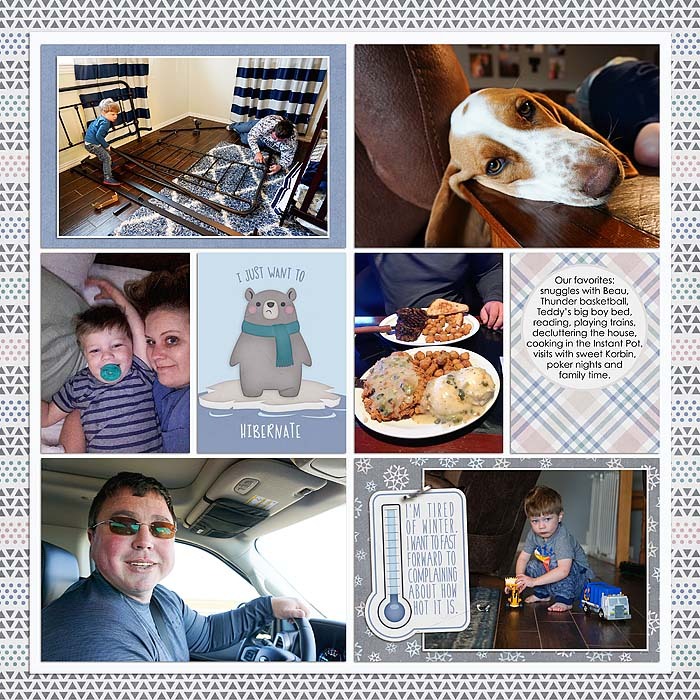 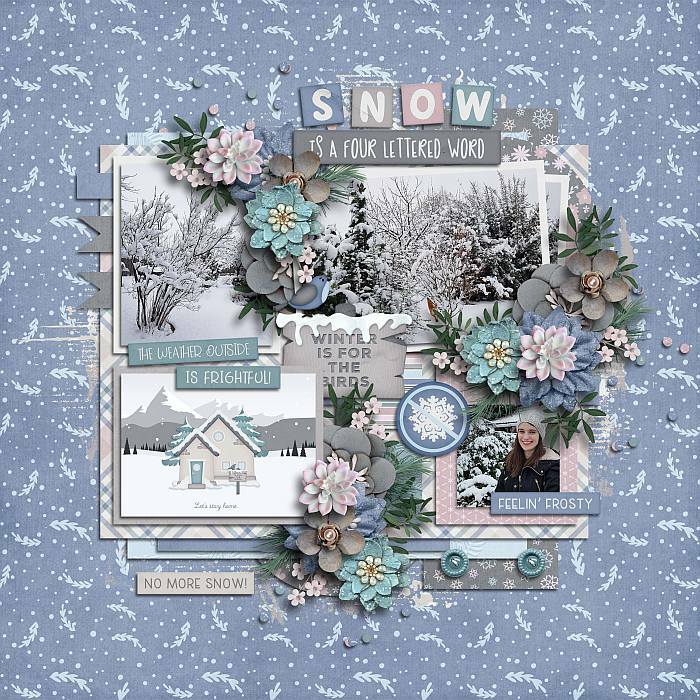 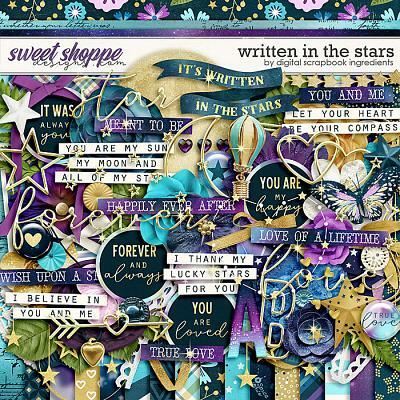 A digital scrapbooking kit by LJS Designs, Cold Snap is perfect for scrapping all the wicked winter weather. 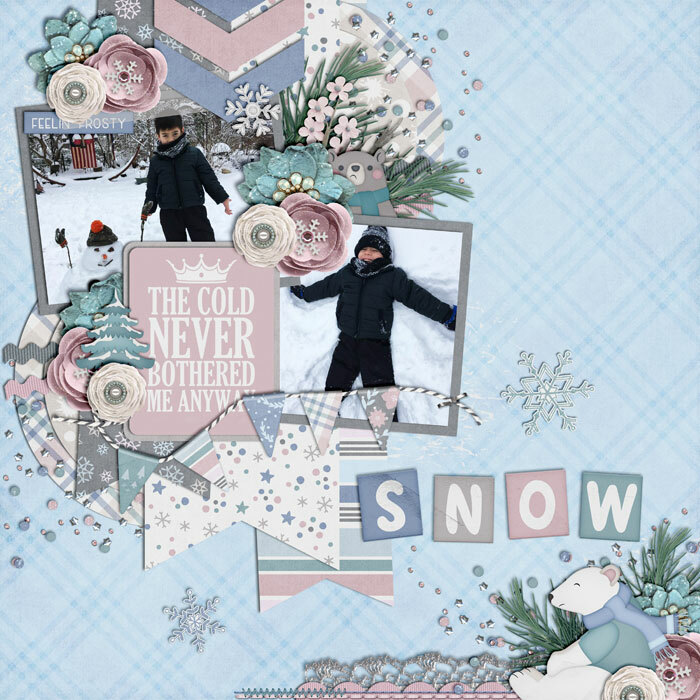 Personally, I am not a big fan of winter. 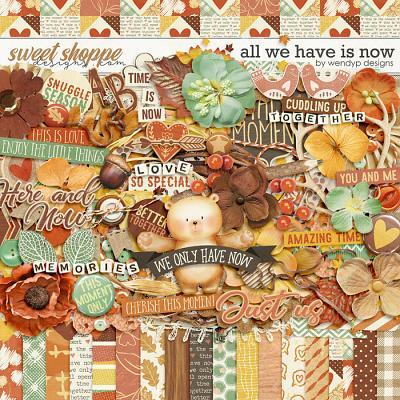 It totally makes me cranky. 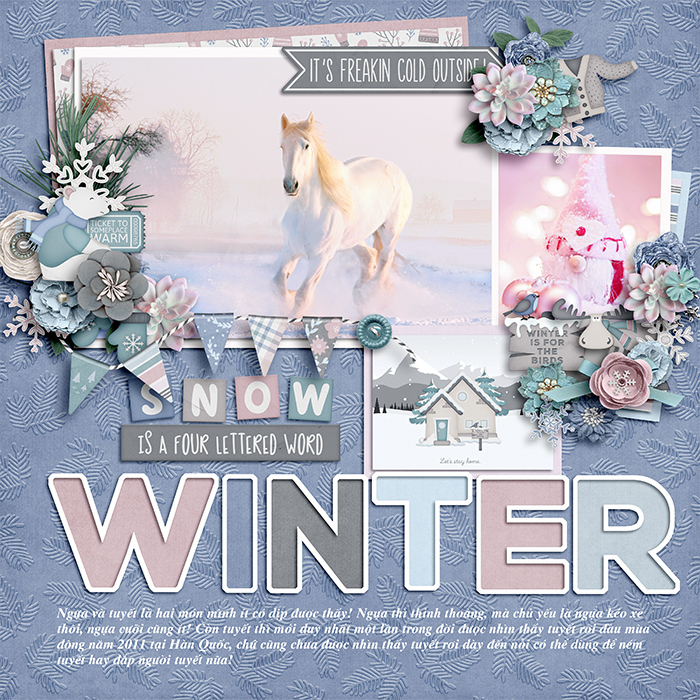 If you aren't a fan of winter either, this kit will help you scrap the bad weather and the bad mood it can cause. 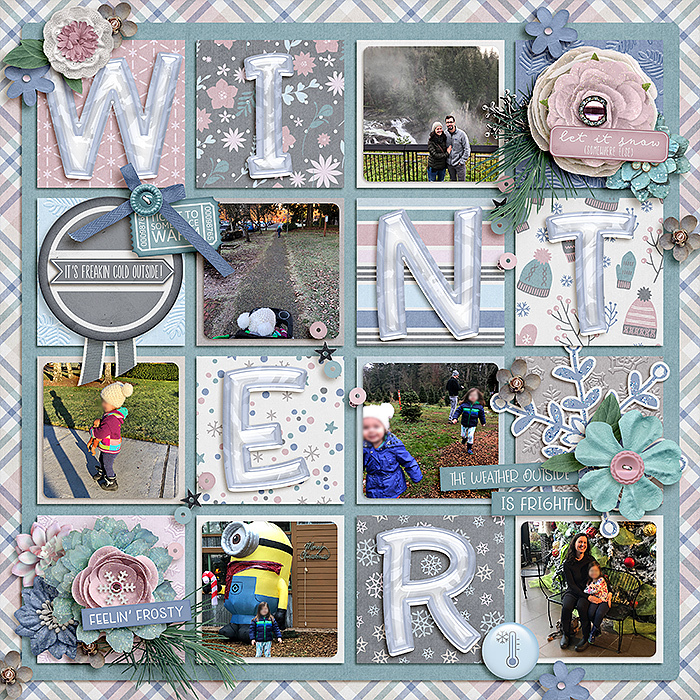 Hurry up spring!